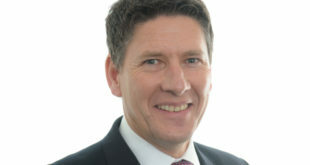 Spire Technology has unveiled its most impressive Christmas competition to date. 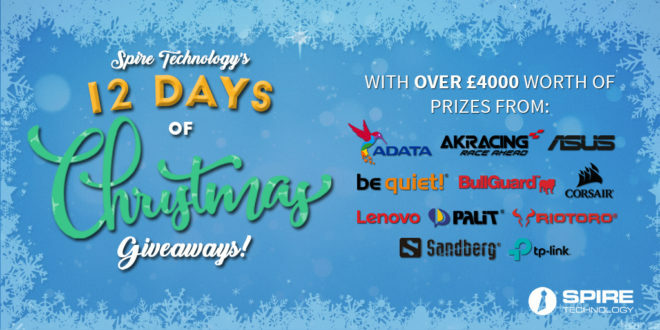 The UK IT distributor is set to give away over £4,000 worth of prizes in its 12 Days of Christmas Giveaways campaign, starting on Monday 3rd December. In partnership with selected vendors, Spire Technology will host a prize draw every day for 12 days, with each day having a specific brand focus. The competition is being run in partnership with vendors including Adata, AKRacing, Asus, be quiet!, BullGuard, Corsair, Lenovo, Palit, Riotoro, Sandberg, and TP-Link, and will feature some incredible prizes, from skydives to high-tech giveaways. To be in for a chance of winning, be sure to check out the Spire Technology website each day from Monday 3rd December onwards to find out how you can qualify.